The TFX-500w ultrasonic clamp-on flow meter is quickly and easily installed without cutting or tapping the pipe. Ultrasonic waves transmit upstream and downstream through the pipe wall and water flowing in the pipes. By measuring the difference in the travel time and knowing the pipe size, the meter determines the velocity and flow rate. 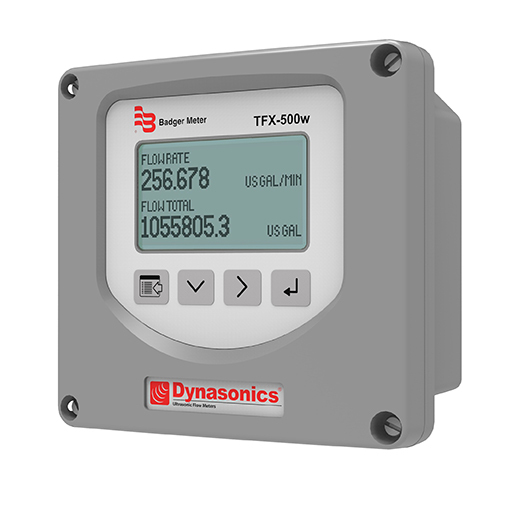 TFX-500w flow meters are a cost effective meter for measuring water flow in a variety of applications. Clamp-on transducers that are suitable for pipes ½ …2 inch with a temperature range of -40…194° F (-40…90° C). Transducers are matched to the pipe size and material for the best accuracy and can be ordered integral to the transmitter or remote mounted. 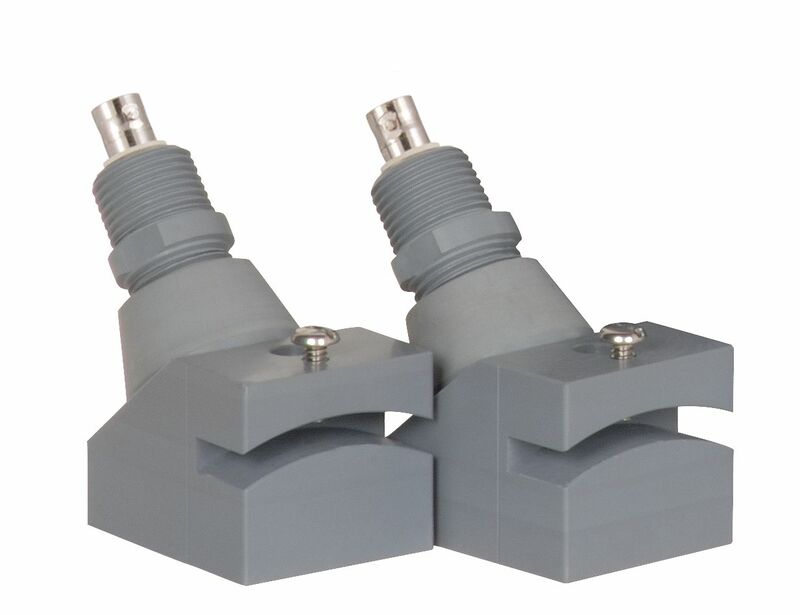 Remote mount transducers include stainless steel straps and can be ordered with flexible armored conduit. Clamp-on transducers that are suitable for pipes 2 inches and larger with a temperature range of -40…194° F (-40…90° C). The upper end of the pipe range varies with ultrasonic properties of the liquid and pipes. For water in PVC pipe, DTTL transducers are recommended on pipes 24 inches or larger. DTTN transducers are also available with intrinsic safety and for submersible applications. Transducers include stainless steel straps and can be ordered with flexible armored conduit. Clamp-on transducers that are suitable for pipes 2 inches and larger, with a temperature range of -40…250° F (-40…121° C). The upper end of the pipe range varies with ultrasonic properties of liquids and pipes. For water in PVC pipe, DTTL transducers are recommended on pipes 24 inches or larger. 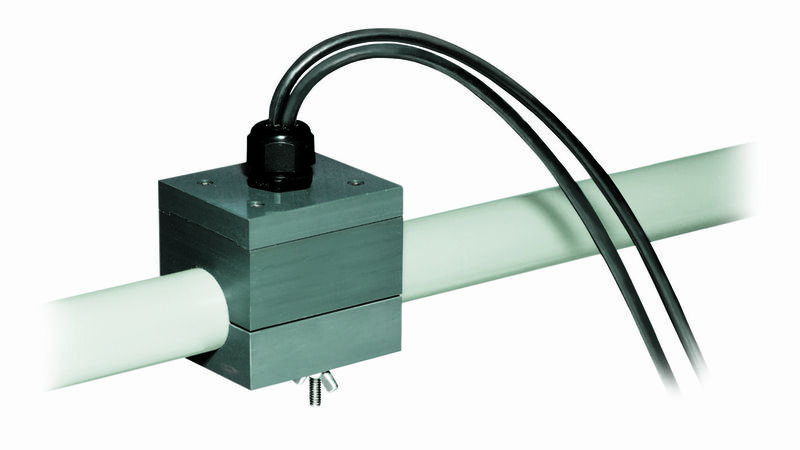 Transducers include stainless steel straps and an optional rail kit is available to promote easier installation. Transducers can be ordered with flexible armored conduit.